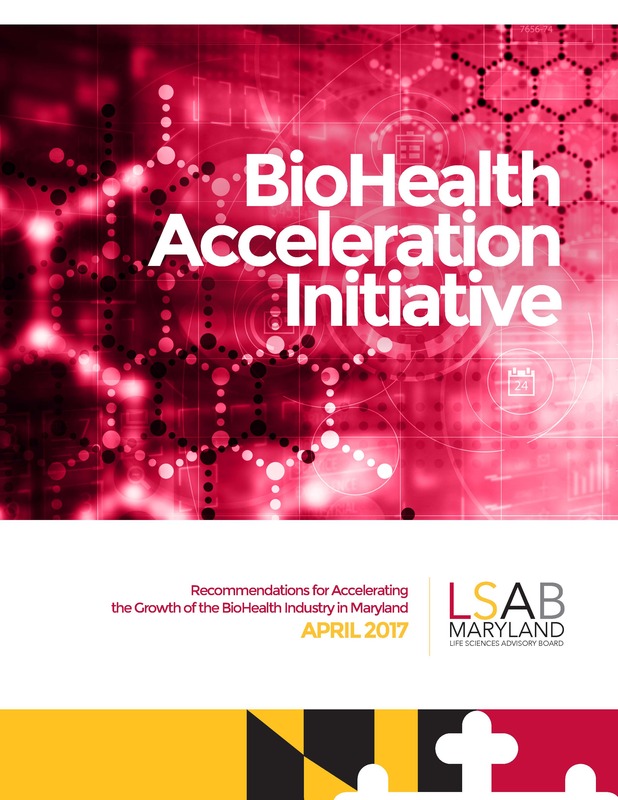 The Maryland Life Sciences Advisory Board (LSAB) was created by the legislature in 2007 to assist in maintaining Maryland’s preeminence in the life sciences industry. Comprised of 18 members, the Board includes the Secretary of the Maryland Department of Commerce, a representative designated by the Maryland Technology Development Corporation (TEDCO), and 16 members appointed by the Governor. 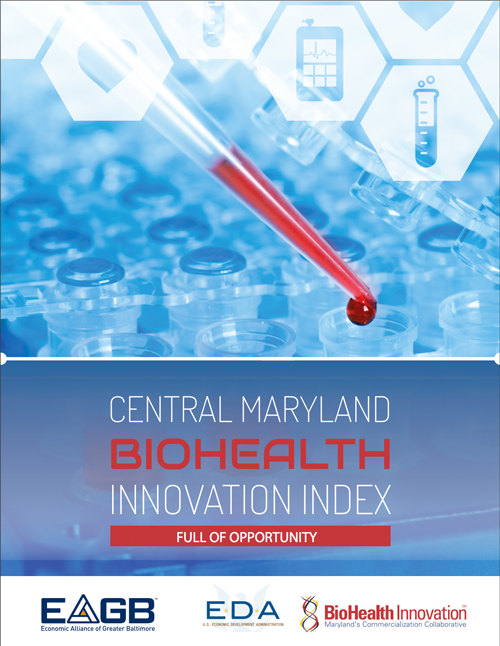 The Economic Alliance of Greater Baltimore and BioHealth Innovation Inc. are pleased to present this BioHealth Innovation Index for Central Maryland. 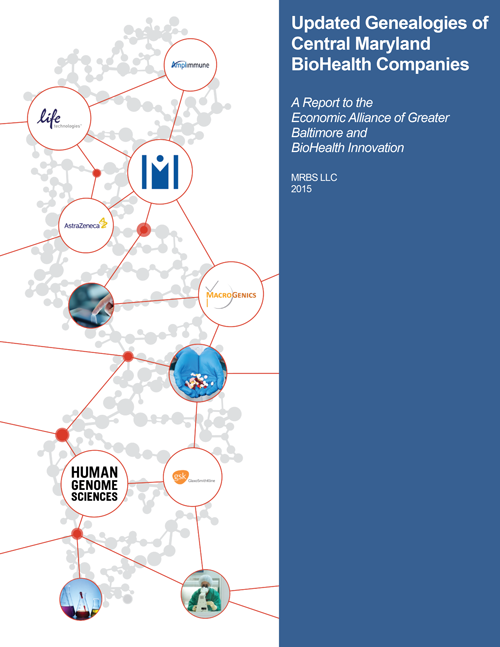 This Index report was developed to assess and articulate the performance of the BioHealth industry sector contributing to the region’s world-class innovation economy. The Index is a comprehensive analysis that examines the region’s strengths along with those areas which present opportunity for economic growth. Innovation is a dening feature of economic growth in the modern economy. Indeed, one of the fundamental facts of innovation-based growth is that it is possible most anywhere when fostered with patience and creativity. Innovation comes in many forms and occurs differently in markets throughout the world. It is a fundamental element of social progress and economic growth, and is only possible thorough our quest for knowledge and our willingness to collaborate and share experiences. As the 21st century dawned, Maryland Technology Development (TEDCO) and the Maryland Department of Business and Economic Development (DBED) commissioned a set of studies – published in 2002 and 2004 – of the “genealogies,” or family histories, of companies in the bioscience, medical instruments, and bio/medical/health informatics sectors.1 Marsha Schachtel, current Principal of MRBS LLC, and her graduate student research assistants at the Johns Hopkins Institute for Policy studies undertook the work. This report summarizes an analysis of a recent update by MRBS LLC of these inventories. At the midpoint of the second decade of the 21st Century, the seed corn in Maryland’s research institutions remains at healthy levels. The rates at which it has been drawn down and planted and nurtured successfully have accelerated. The investments in new eco-friendly fertilizers such as mentors and growth accelerators have paid off. The new crop of biohealth companies is thriving.